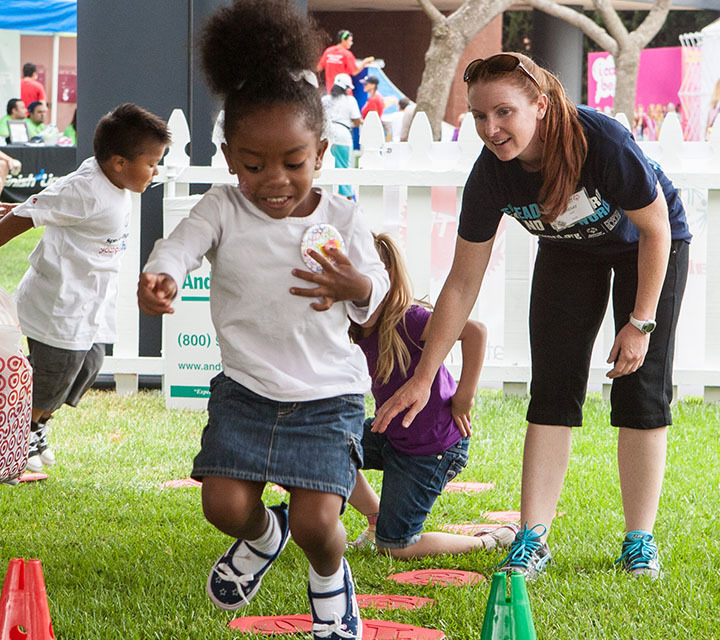 Young Athletes™ (YA) serves 76,000 children nationally between the ages of 2 to 7 years old. It helps develop motor, social and cognitive skills with the help of active games, songs, an obstacle course and other activities. 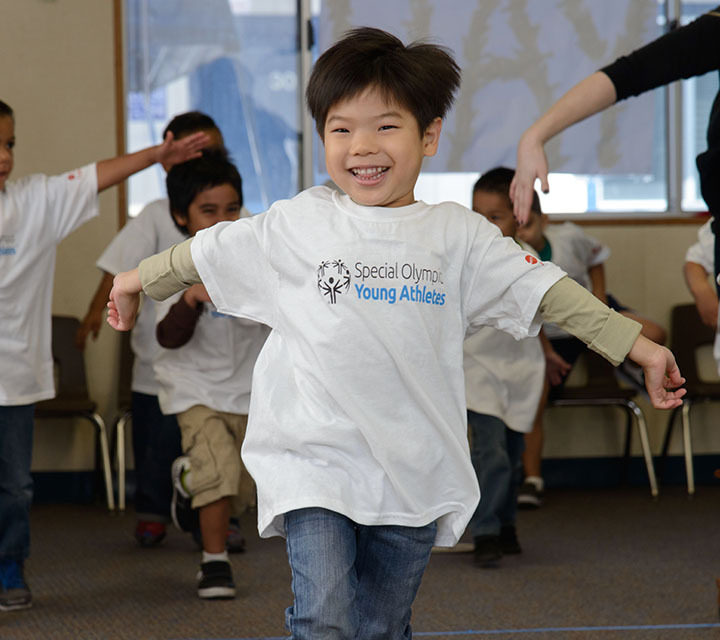 Along with the benefits to mental and physical growth, YA strengthens social and emotional development and provides a boost in family support. 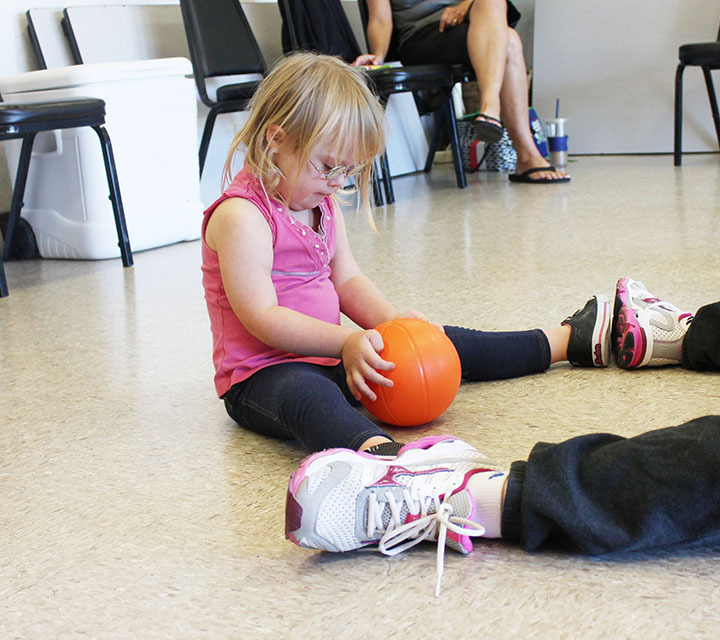 The eight-week program provides a set of lessons through games and activities that focus on developing fitness, strength, body awareness, spatial concepts, adaptive skills (following directions, imitating motor movements), hand-eye coordination and visual tracking skills. In the process, the children become familiar with the Young Athletes equipment and routines. 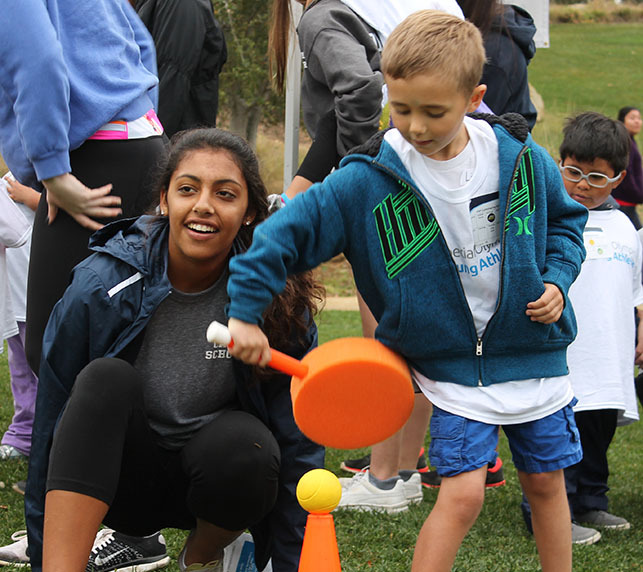 By the end of the program, the lessons provide athletes the chance to apply the skills developed to sports games. Hover over the images for a breakdown. For more information, please contact Melissa Erdmann at merdmann@sosc.org or 562.502.1122. 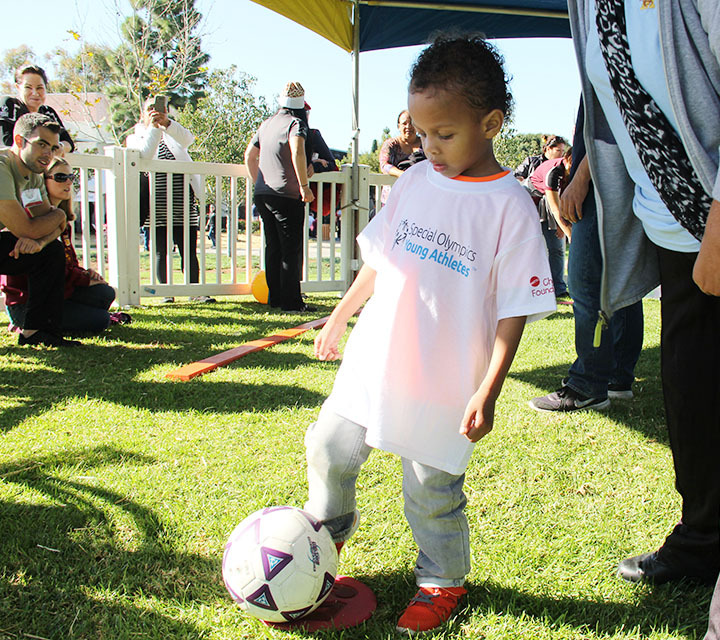 Get your child involved and support them on the road to a happier, healthier life. Schools and community centers are welcome to reach out and serve as a host to YA. He's challenging himself. Pushing through the whole session. Nothing is more heart melting than the look of self-satisfaction when Beckett completes a task. He is so proud of himself and we are so proud of Beckett. It has made a big impact on Beckett's life. As a parent, we get to meet more parents who have challenges similar to ours. No one looks at you weird like, "what's wrong with your kid?" We all get it. And everyone is there to support each other. Thank you Special Olympics for making programs like this possible. 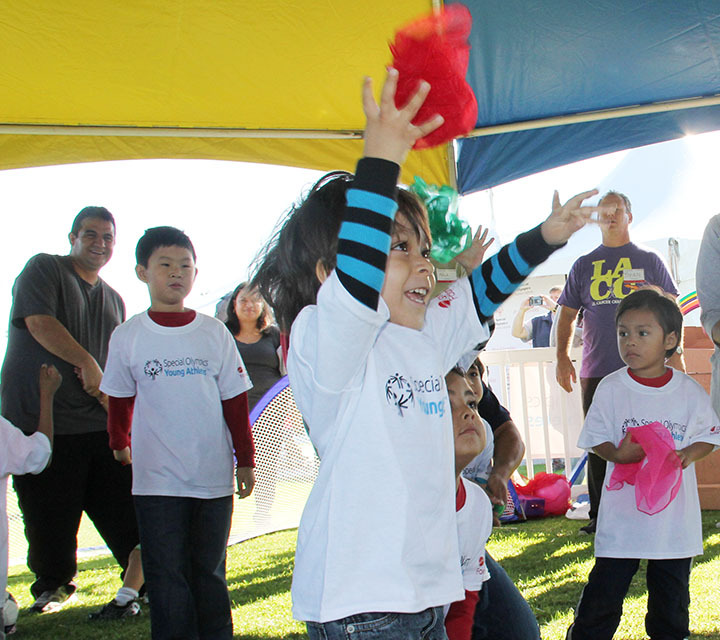 My son has Down syndrome and as a result, there are fewer opportunities for him to participate in sports and other activities than there are for my daughter. So I reached out to Special Olympics of Southern California to see if there was anything for him in our area. Sure enough, they told me about Young Athletes and how that prepares them for future participation in Special Olympics. After a couple of years in YA, my son will go into Special Olympics track once he turns 8 years old in a couple of months. I know the importance of providing enrichment programs for children. Without the Young Athletes program, I am not sure what else I would find for my son. 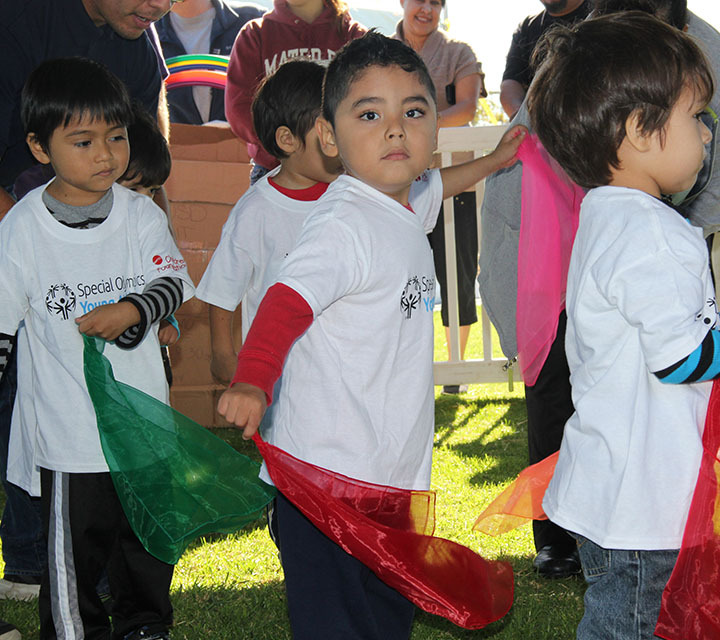 It is an important stepping-stone into Special Olympics. I have told the parents of a few of my son’s classmates about YA, and now those children are in the program getting the same benefit as my son. 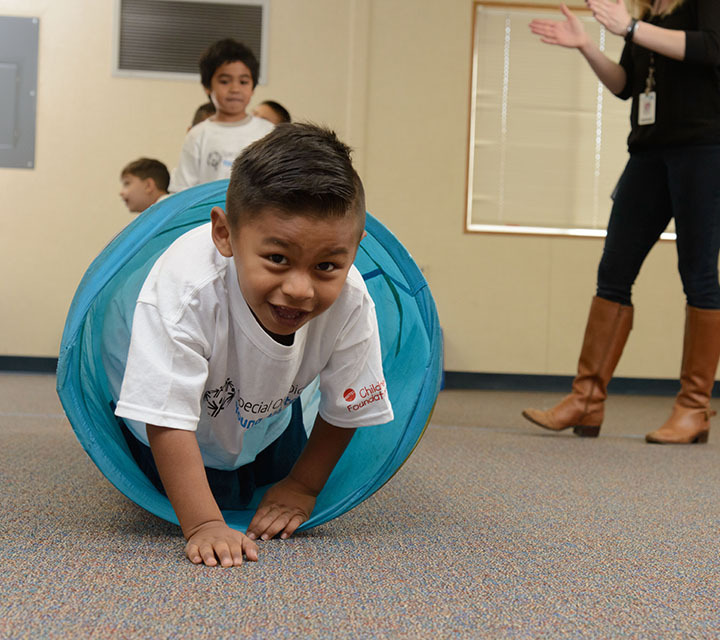 Young Athletes has brought so much excitement to the classroom. The students and staff are always so excited to see and use the different equipment from the Young Athletes kits. The activity guide is a great tool for teachers!